The Student Council Cookie Dough and Magazine sale is here! This fundraiser helps the Student Council pay for: three assemblies, the Teacher Appreciation lunch, the Administration Day lunch, two dances, the Adopt-a-Family program, and Red Ribbon Week events. The fundraiser runs through September 30th, and payment (cash and checks made payable to Cocopah Middle School) is collected with the orders. 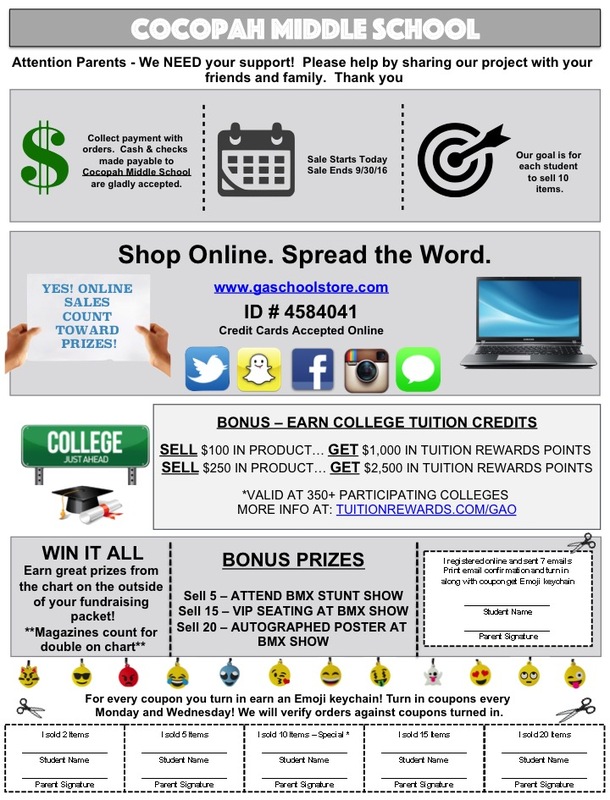 Information came home with your student on Friday, and information about the sale incentives is here. Get your orders in early, and let far-off relatives know how to take advantage of online sales!